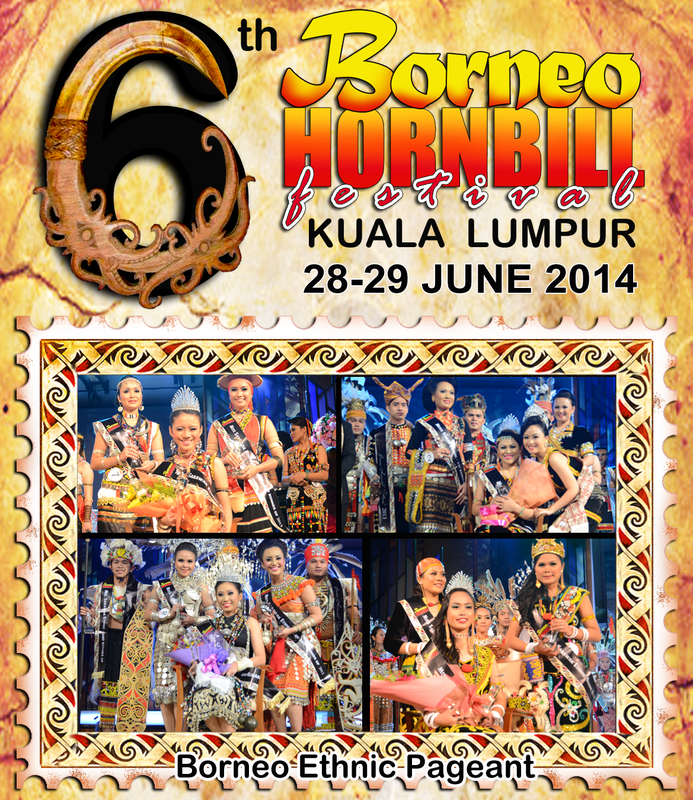 Borneo Hornbill Festival has been running ethnic pageant since 2009. Back then, it was conducted under the titles Kumang & Keling Horbill Festival. As the festival's name evolved from Hornbill Festival to Borneo Hornbill Festival, so did the pageant titles. Restrictions in executing a Kumang & Keling pageant and the inclusion of Sabah into the categories allowed for another title evolution. Beginning 2012, the pageant was called Borneo Ethnic Pageant, with the female category as Miss Borneo Ethnic Pageant and the male category, Mr. Borneo Ethnic Pageant. Miss ethnic pageant is divided into two categories; Miss Sarawak Ethnic and Miss Sabah Ethnic. Similarly, Mr. ethnic pageant is divided into Mr. Sarawak Ethnic and Mr. Sabah Ethnic.